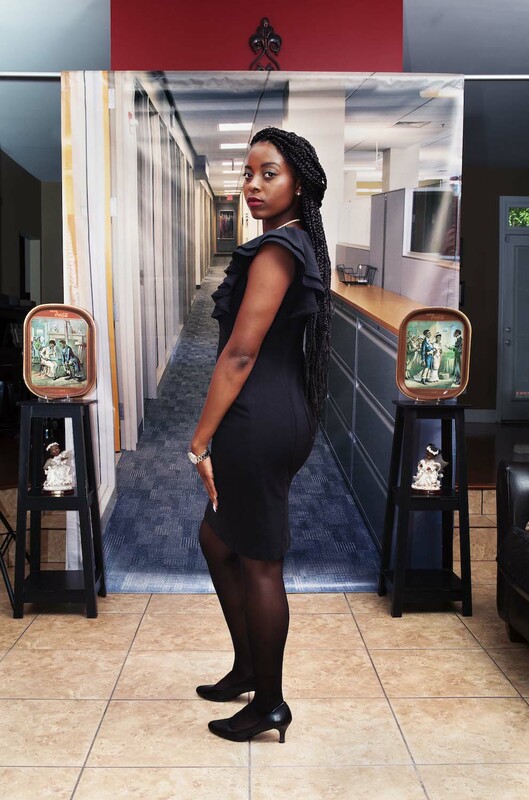 In Endia Beal’s photo project, “Am I What You’re Looking For?” she focused on the challenges young women of color face as they try to enter the corporate world. As a professor at a historically black college, she often heard from female students who related their experiences of being judged by perspective employers on everything from what they wore and how they styled their hair to the sound of their names. 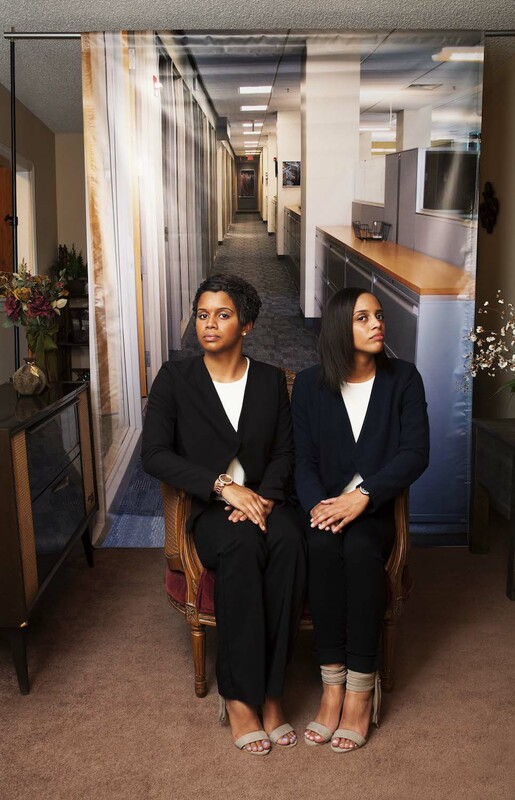 So, Beal photographed some of those young women in their homes posed in front of a backdrop photo of a typical corporate space. The result was a series of intimate portraits that force viewers to question their own biases and preconceived notions of what it takes to “fit” into the corporate space. 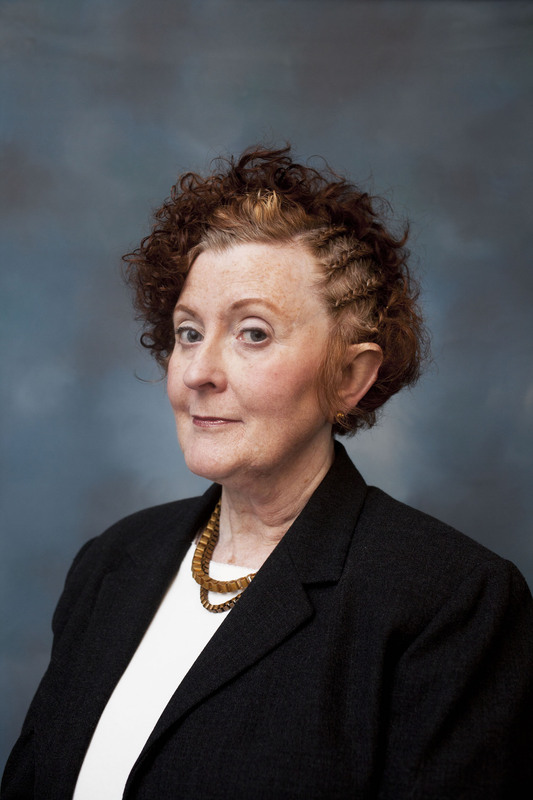 The series followed up on her breakthrough project, “Can I Touch It?” in which she asked several middle-aged white women to have their hair styled in “black” hairdos. The series of headshots will make you laugh but are also somewhat unsettling in their awkwardness — both in the expressions of the women and in the way they make us confront the double standards that women of color face. 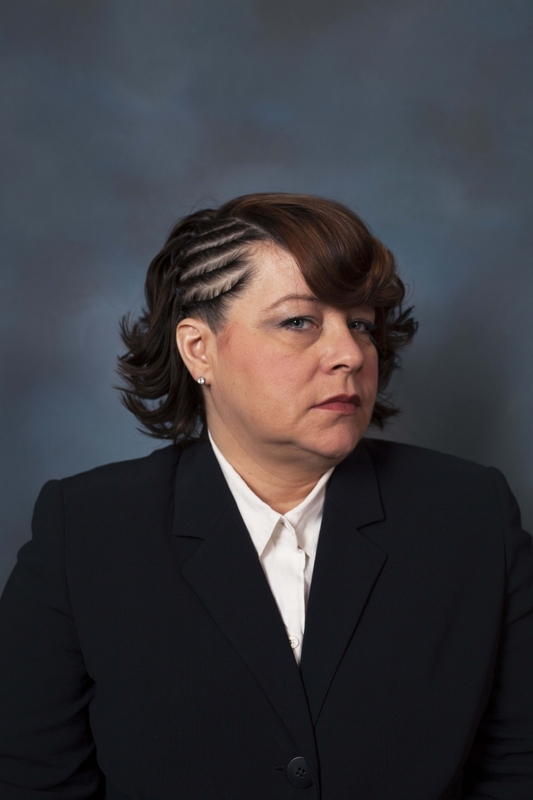 Beal is an associate professor art at Winston-Salem State University, where she also serves as the director of Diggs Gallery. 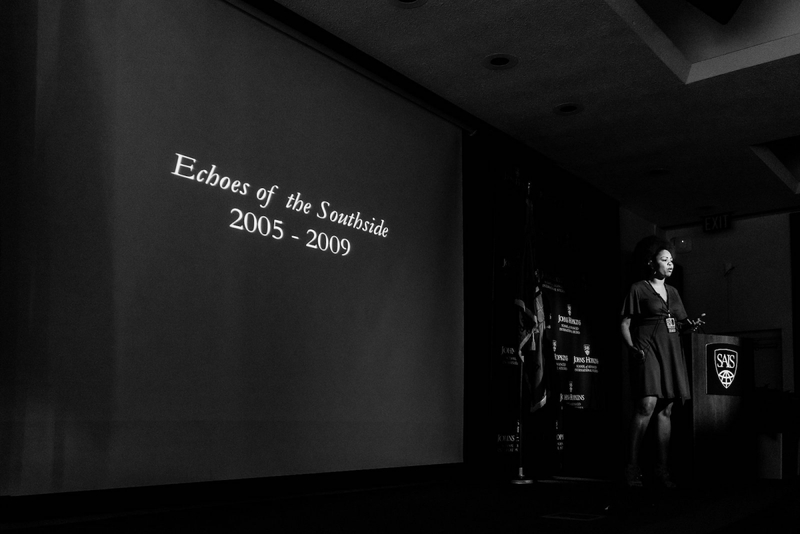 We were lucky enough to have Beal speak at the inaugural Focus on the Story International Photo Festival. This is an interview Mike Lee did with Beal prior to the festival. Mike Lee: Could you share with us about your background, and what inspired you to take up photography? 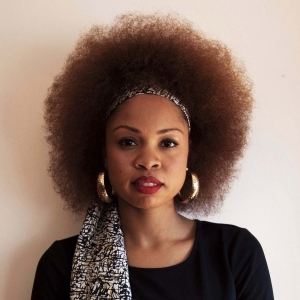 Endia Beal: I am a North Carolina-based artist, wife, and mother of an 8-month-old son named Maxim. Originally from Winston-Salem, North Carolina, I value my familial relationships and attribute any success to the wisdom taught by my elders. I use photographic narratives and video testimonies to examine the personal yet contemporary stories of women of color working within the corporate space. Having traveled across Europe and attended Yale School of Art for my Master of Fine Arts degree, I witnessed the underrepresentation of stories by and for people of color within fine art circles and photojournalism. My projects stem from my personal journey and struggles as a black woman. I speak about everyday experiences that are universal to many people of color. Mike Lee: What makes up the flow of experiences that shaped your views in the work you have accomplished up to this point? What was the process where you turned your interior feelings outward to expression? Beal: My artistic practice is motivated by the people who have never seen themselves in art and are unaware of the power of art and social change. I was apart of this collective. As the middle child growing up in a single parent home, my mother recalls that I had a certain artistic “knack.” That interest became a cathartic vehicle for self-expression after experiencing an immense tragedy where my first love was the victim of homicide at the age of seventeen. I had not pursued art in high school even in its most primitive nature; however, I found comfort in applying unspoken emotions onto canvas and pursued my passion within academia. Completing studio art and art history degrees perfected my technical skills with a solid appreciation for the profession. However, it was not until traveling to Europe, that I observed a global void within the translation of the minority experience. I acknowledged the African art confiscated upon conquests and the Egyptian influence of the obelisk at the Vatican; yet as a black female, discovering traces of my heritage amongst the classic works was futile. Likewise, I witnessed the underrepresentation of contemporary minority stories within fine art circles. I initially wanted to pursue a career within art history, but I had an unyielding desire to continue the stories of James Van Der Zee, Romare Beardern, Aaron Douglas, Alma Thomas, Palmer Hayden, and Gordon Parks. Simply put, my intentions are to tell contemporary truths of people of color. Like Diane Arbus, my camera is my way into the community. It gives me the reason to connect. The photograph is important, but the conversations and relationships that are built through the work feed my practice and motivate me to continue. From the "Am I What You're Looking For?" series. Mike Lee: In the series “Am I What You’re Looking For?” you sought out individuals who had not the opportunity to speak to their feelings while preparing to enter the corporate world. You spoke before about the significance of the backdrop in the photographs established a clear link of having to “mute” yourself while working in that environment. Could you tell us more about that, and how that segued into later work? Endia Beal: The photographic series, “Am I What You’re Looking For?” focuses on young African-American women transitioning from the academic world to the corporate setting, by capturing their struggles and uncertainties on how to best present themselves in the professional work space. Many of the women who participated are my students at Winston-Salem State University in Winston-Salem, NC. They would disclose their personal difficulties in securing employment after graduation. Employers would tell them that their natural hair was unprofessional or their name was too difficult to pronounce and would suggest they alter themselves for the job. These stories were all too familiar to my own struggles as a woman of color in the corporate space, but rarely are these stories shared to colleagues or management in fear of rejection or lack of opportunities. This project provides an in-depth investigation into the experiences and fears of being a woman of color in corporate America. It allows young women to express their deepest concerns as they transition outside of college. During the project, I travelled throughout North Carolina and photographed the young women in their childhood homes. These environments foster comfort and honesty allowing the women to be open about their concerns. I asked each woman to wear what she would love to wear to an interview and imagine she is waiting for the interview. An office backdrop was placed in their family room or living room. Similar to James Van Der Zee’s historically themed backdrops, the office backdrops force the viewer to re-imagine the space. From the "Can I Touch It?" series. Lee: Talk about the experiences you had while working on “Can I Touch It?” Some of the stories the women related to you revealed a solidarity regarding their life in the corporate world. Also, what was the artistic influences that inspired that style of portraiture? Lee: What is your approach in videography and how do you place it in regards to your still work? Beal: As an artist, I understand the limitations of photography. Depending on the project, I try to find the right medium to convey the story. All images © Endia Beal. To see more of her work, visit her website. It was such a pleasure to see and hear Endia Beal speak at the Focus on the Story conference. Her presentation was simultaneously sobering, uplifting, funny and touching. The ovation of the audience demonstrated how much voices like hers are needed now, in the arts and beyond.